Mdantsane is the second largest township in South Africa after Soweto. The original inhabitants were people who were forcibly removed from what was known as East Bank in East London. It is divided into eighteen zones which are still expanding, with the newest unit known as Unit P. The zones are named numerically in the chronological order of their establishment. The central market, in N.U.2 (Zone 2) district is called “The Hi-way”. It is named after Qumza Highway, which is the main road that runs through Mdantsane from East London city centre to an industrial area at the end, Fort Jackson. Here many informal traders sell their wares on the streets and it is also the location of the main taxi rank. There is also formal trading which is housed in the recently built shopping malls. Mdantsane is also known as a home of boxing, because this is where boxing world champions like Happyboy Mgxaji, Welcome Ncita and Vuyani Bungu hail from. A pulsating culture in music, arts and poetry continues to thrive in this close-knit township life. Many political stalwarts and veterans also hail from this township, including Thozamile Gqweta, Ntombazana Gertrude Botha, Mlamli Ondala and Bangumzi Sifingo. This past Wednesday, a young man, Siyasanga Zwakala from Mdantsane pulled out a successful event that encourages high schools on how to live life with respect and keeping them of the streets with initiative that will keep them busy. They were 65 contestants who entered the contest with only three made it to the spotlight. The event was hosted by DeeQue Zitumane and Silk Damoyi as MC’s with Chiwawa Streetwear and SickWear present and featured on the event. 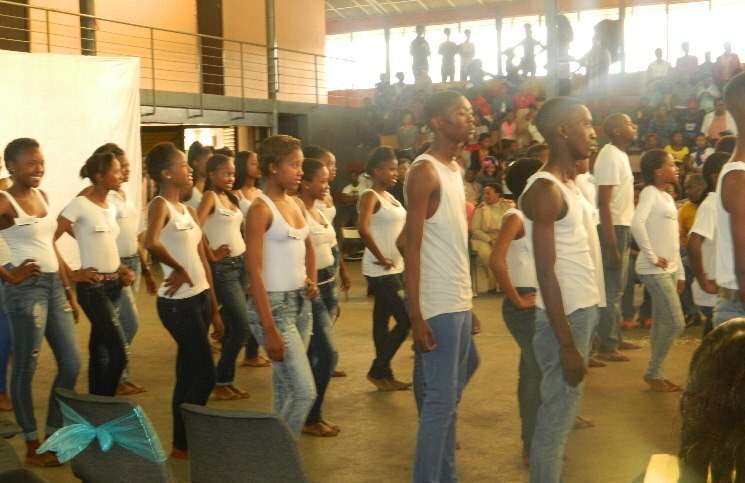 This event was also created with an intension to drive high school pupils in a bettter alternatives in life than being involved in illegal mission that may lead them into jail or prostitution. Mdantsane maybe known as the capital city for boxing the country due to the force create by the last generation, the new generation is building a legacy of the same magnitude through educating ad guiding future leaders on how to better themselves as individuals while remain grounded – said Mr. Zwakala. Aizu and Wade, Ziyanda Amafu, Chaotic Dance Crew and Sizzle performed on the day, with Mr. Sinethemba Gayiza as the head judge together with Mrs Mabhentsela and Leroy Ntanda. Mr Zwakala stated that this event’s turnout showed the amount of effort and hard that the contestants putted on to create an amazing experience for the community at large.